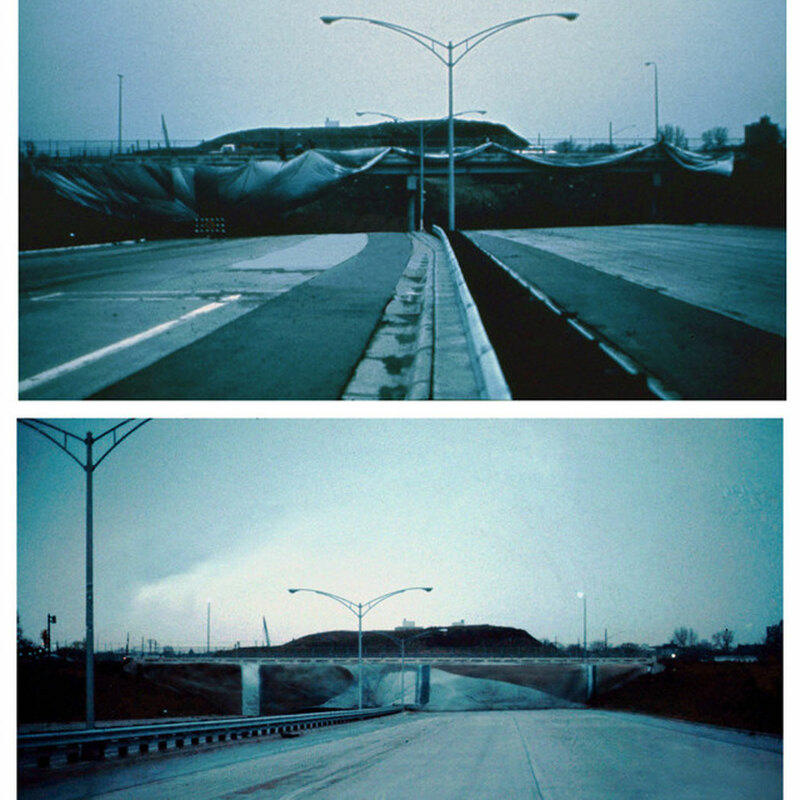 Confronted with an expressway that came to an abrupt end (perhaps abandoned or not finished yet), Pettena could not resist the temptation to continue it in his own way, creating a fake bend that interrupted its current and probably future linearity. 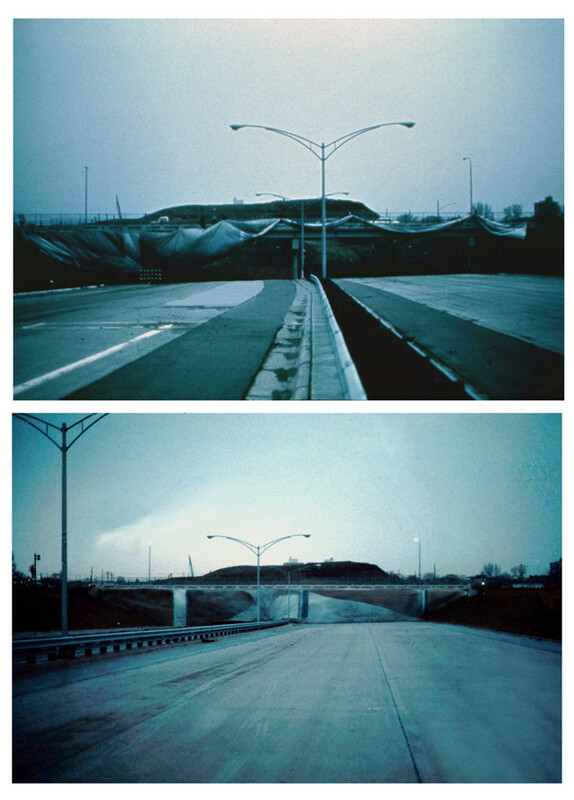 Realized together with students at the Minneapolis College of Art and Design, this performance entailed hanging a large tarpaulin from an overpass, letting it drop down to the level of the road and drawing on it the fake bend that would be its imaginary continuation. Like other interventions carried out that year in the Minnesota state capital, the target here was the excess of uniformity in urban design, with an observation, in this case little more than an ironic hint, that would turn into more well-considered and incisive actions in later works.